Lanka Special Steel Limited (Lanka SSL), subsidiary of E.B. 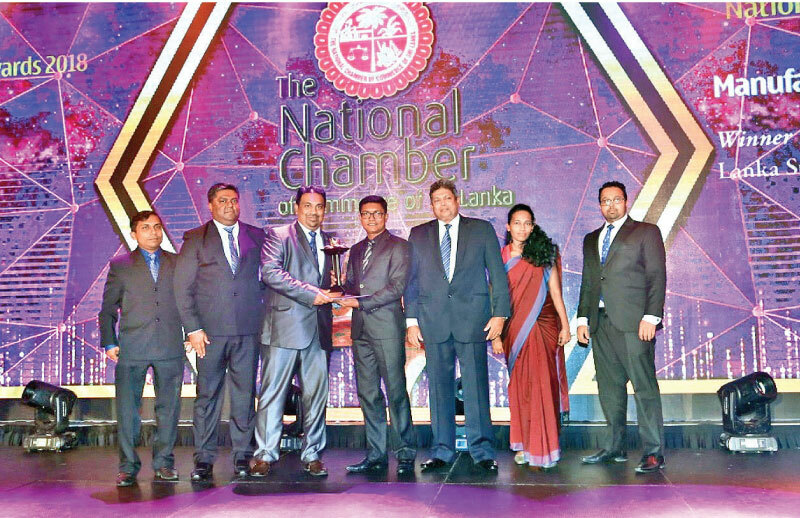 Creasy Group and a pioneer in the domestic steel wire industry was recently named the winner under ‘Manufacturing- Other Sector’ in addition to being awarded second runner-up in the large category at the National Business Excellence Awards 2018. An ISO 9001: 2015 and SLS certified manufacturer, Lanka SSL places priority in delivering high quality products to customers using German-based technology. Its GI wires are produced with the finest material in accordance with both local and international quality standards. The company has built a reputation over the last 15 years in providing superior products and service which is well reflected in its loyal and repetitive clientele. The highly qualified team ensures a customized service that best fits individual requirements.